Make it or buy it? We'll help you decide. Hello World! I’m alive and (finally) back at it! So I know I’ve hinted a time or two that Rob and I were moving. Well, we moved! And the new house is FANTASTIC. It’s window-filled and bright and spacious and graced with lots of fruit trees. Sigh. But that isn’t to say that it’s perfect. In fact, parts of it were quite a mess when we got here. Now, I’ve never moved into an empty house before (our last home was Rob’s before I came along), so I have absolutely ZERO frame of reference on this. I just know that whenever I moved into an apartment, it was clean-ish. This house, not so much. I mean, most of the stuff was gone, but there were some glaring messes. 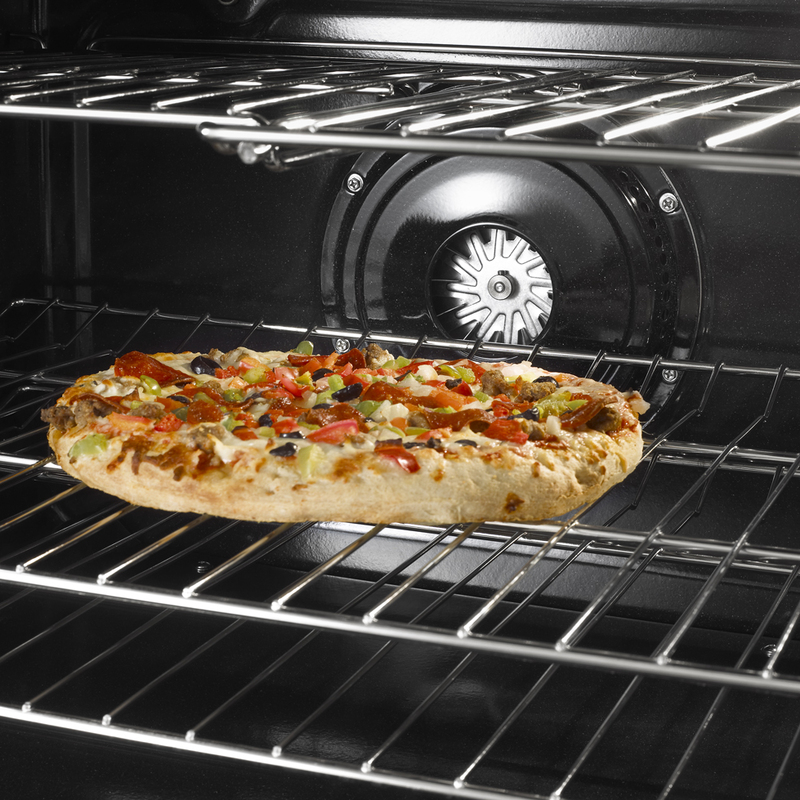 Like inside the oven. I don’t know how long it had been since that oven was cleaned, but I’m going to go out on a limb here and say A VERY LONG TIME. Like, years. We turned on the oven, and everything smelled like burning. We turned off the oven, and it smelled like grease. Eeeeee-ew. Anyway, I really shouldn’t complain, because PERFECT CHALLENGE OPPORTUNITY! Exactly what is the best way to get an oven clean? I know ovens have those self-cleaning mechanisms, but I’ve never used one and they frankly scare me a bit. (800 degrees is really, really hot, and I don’t entirely trust smoke detectors). So, removing that as a cleaning option, which would be the better choice: a can of spray stuff, or washing soda with some steel wool and a little elbow grease? 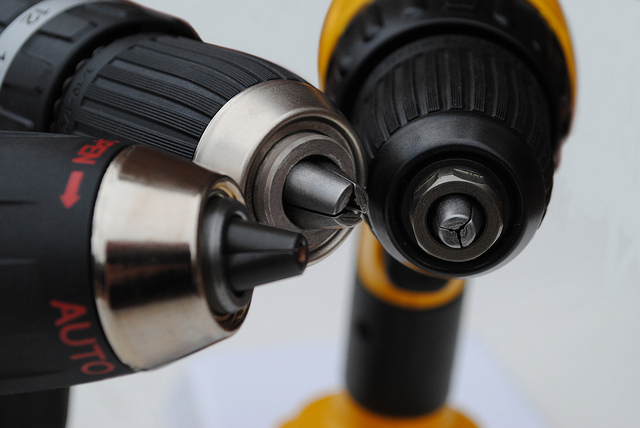 Best Drill for Home Projects? Okay, so Rob and I are furiously working on our existing house, so that on Friday we can move to a new one and rent this one out. Awesome. It involves a lot of building guardrails and handrails and adding smoke detectors – things that involve the use of our drill. A power tool should not be so difficult to use that you blister in the attempt. Now, I like our drill well enough. It’s a Black and Decker 12v Battery Operated Drill, small and lightweight and efficient. HOWEVER. As demonstrated by the wicked blisters on my hands, it’s not made for people with less-than-masculine grip strength. To wit: To secure a bit in the drill, you must turn two tumblers in opposite directions until they sort of click into place, thus securing the bit. When the bit is not secure, you hit one knot in the wood, and suddenly your drill is turning but the bit is not. Often, the bit is then stuck in the wood, and you have to rescue it. I cannot, for the life of me, get the tumblers tight enough to secure certain small (9/64ths) bits; nor can I loosen the tumblers to change bits when a small bit is secure. Does anyone out there have a drill that’s easy to use? I would love recommendations. Or ideas/tips for how I can make our existing drill work for my (evidently) puny little hands? If this post had a subtitle it would be: Or, Should You Buy Those Little Tools That Won’t Get Used After This One Project Is Over? In case you’re wondering, a spline roller is just such a tool. A cheap tool with one use and one use only: To put spline into place as you repair a window screen. Now, I have been alive for 29 years, and this is the first time I’ve ever had use for a spline roller (or a window screen replacement tutorial). If this is the start of a trend, I won’t need a spline roller again until… 2040. I must admit, I kind of jumped into this screen-fixing problem in a rather random and unplanned manner. We had screen. And spline. I had time to kill between applications of primer and paint. And I had once (a few years ago) read an article about how to replace a screen, and the article said DIY was totally easy. So I just went ahead and got started. Then, after I had disassembled everything, I decided that maybe a refresher course was in order, and stopped to watch a video, and thus learned about the magic of spline rollers. Now, I had two options: Stop and go buy a spline roller, or just make something lying around the house work. I decided to start with option B: Make Something Else Work. Thus was born today’s challenge. Rob: Hey, will you add dishwasher detergent to the things-we-need-at-the-store list? We’re almost out. Me: No way, I’m going to make some! I have the recipe and everything. Rob: Oh, good idea. Can’t wait to try it. Rob: Hey, it looks like we’re almost out of dishwasher detergent. Were you going to make some, or should I just buy it? Me: Oh, I forgot about that. No, don’t buy it – I’ll make it! Totally. Rob: Um… I think this is the last load we can do here. How about that dishwasher detergent? Me: Oh, yeah. Detergent. I was going to do that, wasn’t I? See, the problem is, that I HATE doing the dishes. With a passion. I’m not good at it (mostly because I don’t want to be doing it) and, you know… I don’t want to be doing it. It doesn’t matter if it’s loading our (teeny, tiny, ineffective) dishwasher or hand-washing dishes. So, I try to spend as little time as possible thinking about dishes, and thus, I also don’t spend much time thinking about dishwasher detergent. Last night, I finally broke down and made a batch of dishwasher detergent. And then I (we) actually did a load of dishes! In the dishwasher! And so, now I can write authoratatively about the comparative benefits and drawbacks of dishwasher soap. Yay! Very obviously, I did not make these. But they look delicious! 1. Croissants. Have you ever looked at a croissant recipe? Mon dieu, those little pastries are involved. In The Joy of Cooking, the recipe takes up more than a page – and the only ingredients involved are flour, butter, milk, yeast, salt and sugar. The rest of the copy is devoted to explaining how to beat up butter, and knead dough, and refrigerate and fold and roll and refrigerate and fold and roll and refrigerate and fold and roll and refrigerate and bake. Just reading about it makes me tired. So I leave croissants to the professionals. 2. Massage. I’m a firm believer in the benefits of massage. A good, professional massage therapist can help resolve all manner of aliments: headaches, running injuries, backaches, even chronic pain. And a good portion of why they’re so effective is because they use their hands for healing. When someone touches you in a caring way, that alone can help improve your health. For example, studies have shown people who have their hand held by a friend during scary or painful medical procedures experience less pain and fear than those who don’t have a hand to hold. And that’s just one area of study – there are others, of course. And you cannot get that effect yourself. (Unless… [Insert tasteless multiple-personality joke here.]) ANYWAY. Massage is best left to a general Someone Else to get the benefits of touch, and to a massage therapist in particular to get the most effective pain relief. Agree? Disagree? What are the three things you absolutely won’t DIY? It seems that one of the biggest questions regarding DIY laundry soap is: Can I use it in my HE washer? Lots of people say they use it in their HE washers, and it works wonderfully. But is anecdotal evidence good enough for this pseudo-scientist? Well, actually, yes, and if I had a HE washer, I’d feel comfortable using it based on those recommendations. But I had some time to kill this evening, so I decided to dig deeper. Step One: Add Homemade Laundry Detergent! So, when my friend/blogger Cat of Hipster Housewife suggested a detergent-making party (she was already through her first batch, and she SWEARS by the homemade stuff), I was all in. Along with a few other friends, we made epic amounts of laundry detergent to share. But now I have a fourth of an epic amount of laundry soap, which is still quite a lot, plus all the stuff needed to make detergent until approximately 2026. And so I need to know (since I’m going to be using it for quite some time), how does my homemade laundry detergent stack-up to the store-bought laundry detergent?